While preparing for my VMware VCAP-DCA exam, I have being using a number of virtual NFS and iSCSI devices but a few weeks ago I bought a Netgear ReadyNAS to form part of my lab environment. Though I have found a number of articles/blogs regarding setup, what I found is that Netgear’s firmware updates have made all the screen not mesh while trying to complete the setup. This is my attempt at showing how to do the setup and hopefully avoiding the mistakes and frustrations along the way. 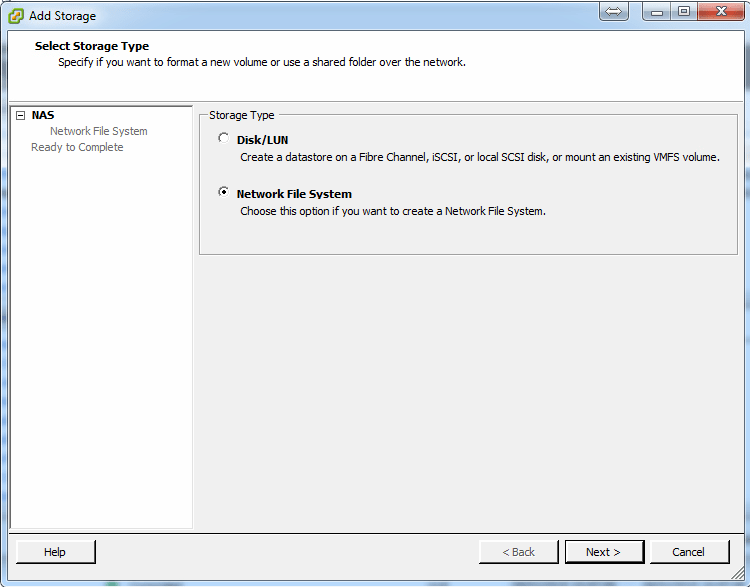 So, firstly we need to create the NFS share on the ReadyNAS. Give your new folder that is going to store for new VMware datastore a meaningful name and some description so you know what it is for. 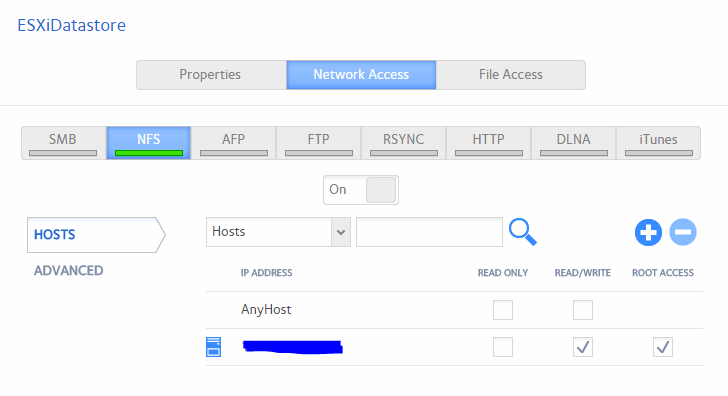 Select the [NFS] option, as this is what we will be used for connecting our ESXi hosts to it. If you want to access in parallel via other means select the other options you wish but the [NFS] option is mandatory for this exercise. Success! 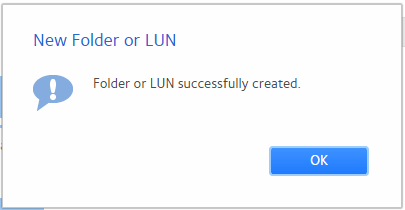 Select [OK] to complete the folder setup. The IP address should now be listed in the list. NB. 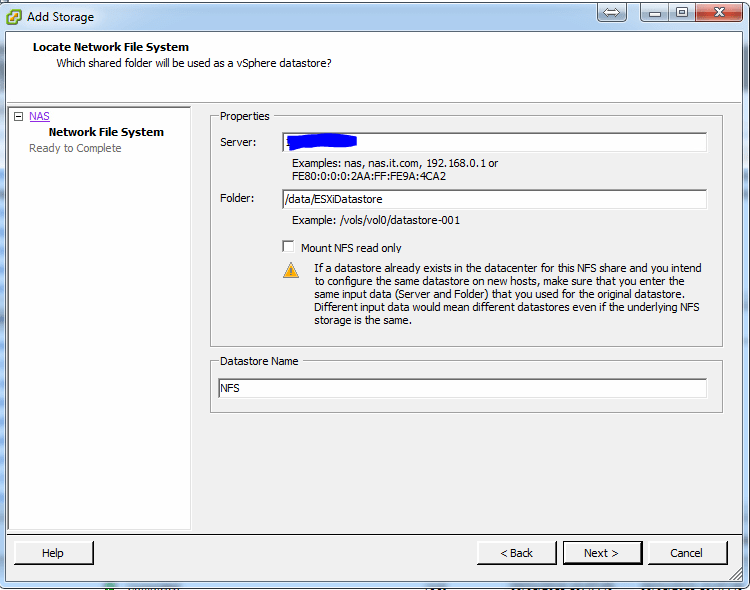 You must select [READ/WRITE] and [ROOT ACCESS] or when adding the NFS folder in VMware you will encounter and error and not be able to mount the datastore. Select [Ok] when you are done this. That’s the ReadyNAS NFS folders all setup! Step 1 complete! Let us now switch to our VMware host. 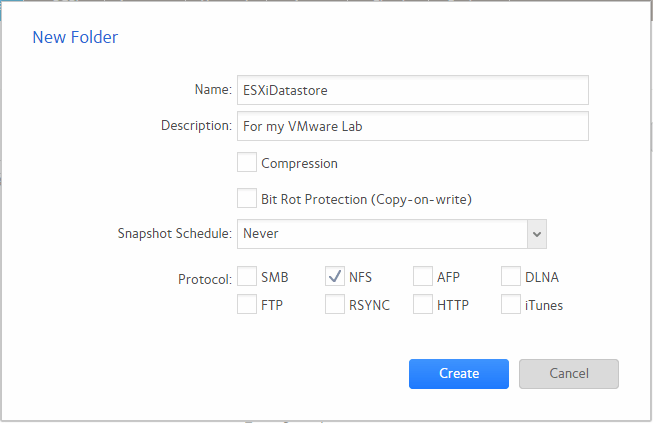 Congratulations, you now have your NFS Datastore attached to the host and can be used for virtual machine storage, ISO repository any other VMware storage uses you may have. The process will need to be repeated for all hosts in your environment. I hope that this is been helpful to you… And as this is my first real blog, I hope it makes sense! What did you do about your network? 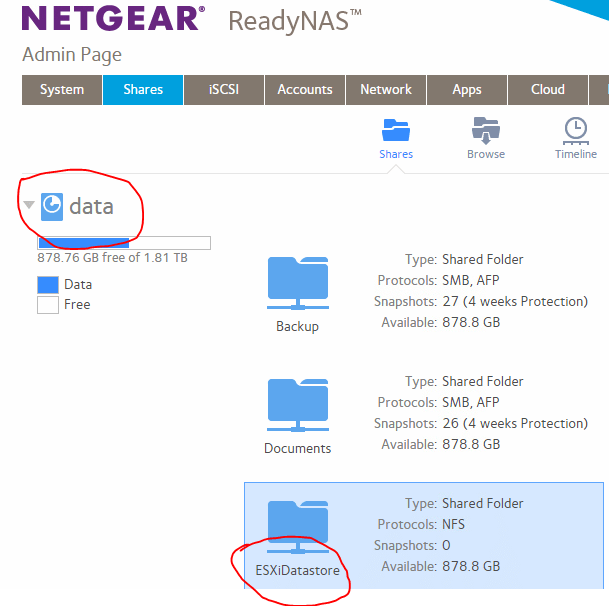 I am looking at using both nics on the readynas for shared storage and I have two nics on my esx box for storage. I am not sure if I want to team the nics and round robin them or leave them on there own wiht round robin on the host server? Hi Steve, I did some testing when I set it up (Over a year ago now) and I found that teaming the NICs gave me the best performance… My current lab setup has the two NICs separate and split across two VLANS so I can use it has shared storage for both my lab and personal life. Nice work; I was following a tutorial on “youtube” today that “left this step out” completely!!! I happen to come across your blog which gave me the answer I needed for access.